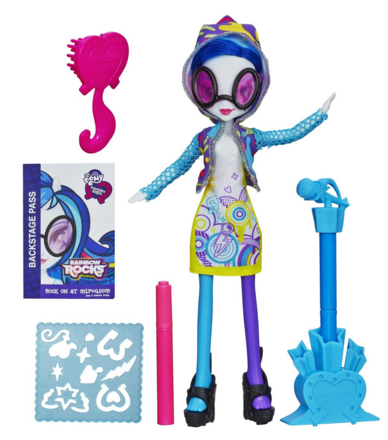 My Little Pony Equestria Girls DJ PON-3 Doll With Markers And Microphone Just $9 Down From $22! You are here: Home / Great Deals / Amazon Deals / My Little Pony Equestria Girls DJ PON-3 Doll With Markers And Microphone Just $9 Down From $22! Get your last minute Christmas gifts on Amazon! This My Little Pony Equestria Girls DJ PON-3 Doll With Markers And Microphone is just $9 down from $22! Get yours now while it lasts!